The app recognizes what show you’re at, streams professional imagery directly to your phone, and allows you to take notes and save your favorite looks. A cool step in the fashion industry’s embrace of technology. Passengers will be able to purchase luxury beauty products by swiping their smart phones over special tags inside the cab. The social bookmarking site is driving significant traffic to retailers and is pegged to be the next big social media platform for fashion brands. Here’s your cheat sheet. Bloomberg continues his support of the generation of fashion, launching free “mini-MBA” program in partnership with FIT. BTW, did you know the fashion industry accounts for over 5% of NYC’s workforce? 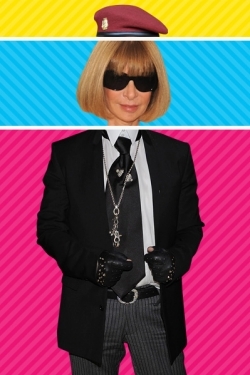 Because who wouldn’t want to see Anna Wintour dressed up like a garden gnome?